Location, Location, Location...What's the value of knowing where your customers are? Product PromotionsFor supermarkets or even niche brands like high street chemists the ability to announce a promotion relies heavily on advertising. How can you cram in all that's new in the shop entrance? How do you know whether your latest BOGOF on nappies is relevant to your customer? At Beura we're exploring how retailers' in-house customer segmentation data coupled with their own "app user profiles" can be actioned to launch promotions to relevant audiences when our iBeacons detect app users in store. Audience segmentation is important to any brand. Websites are able to identify their customers and tailor their web experience but in-store profiling can be challenging and tends to happen at the point of conversion. Today, our iBeacons can identify a retailer's app users browsing in-store and through overlaying data, Beura can help brands treat their VIPs to special offers, driving conversion and a share of wallet. Amazon has product bundling down to a fine art. They're able to dynamically group products that you might buy together, potentially at a discount. At Beura we're exploring real-time, in-store personal shopping across mobile using iBeacon technology. So now, when you pick out an evening dress at your favourite department store, you can get recommendations on shoes, jewellery and make-up to match with a potential discount if you buy all 4 items! The ability to segment an audience and identify them in-store, is an important step for retail but it comes with a health warning! Abuse your ability to locate an audience and you soon will find yourself loosing it altogether. It's important to run trials, A/B testing and control groups to see what makes your audience tick! Beura is a iBeacon Platform from award winning mobile app developers, Mobikats. Our iBeacons and SaaS Platform includes beacon management, tracking and mobile messaging tools. We are currently working with the Guildhall Galleries on an exciting beacon project and Hotels.com. Contact me on LinkedIn to learn more about Beura and our services. 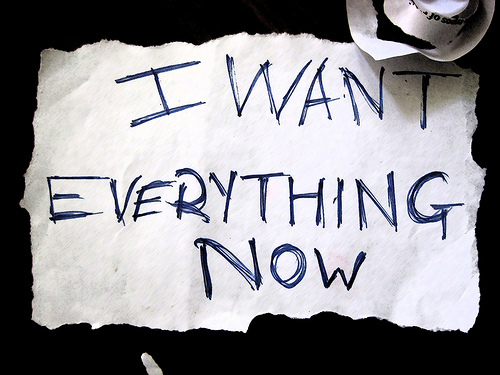 Instant gratification is one of the underlying drivers of the digital age. It's the single most potent reward a brand or organisation can offer its audience. Online brands and the gaming market lead the way here but with beacons and mobile, brands and organisations can now leap-frog into real-world, real-time rewards for their customers and employees. Tesco Clubcard and DunHummby pioneered the UK's most successful loyalty programme which has three key measures of customer behaviour, Recency, Frequency and Spend. The scoring is wholly based on a customer's spending behaviour and therefore has some limitations, particularly in today's age of ubiquity and lack of brand loyalty. One key metric that brands are becoming increasingly familiar with is "Engagement". Your audience may visit your site, or store but unless they're "logged In" or "checked in", their engagement will go unacknowledged, unrecorded and unrewarded. Now with beacon and mobile technology, "Engagement" can be recognised and responded to in real-time, real-world situations. Online browsing is a fickle business, consumers dip in and out as they hunt for cheaper prices and money-off coupons. The real-world however, is a valuable space. Any customer who makes the effort to visit a store or even a mall presents enormous value to all parties interested in increasing their "share of wallet" or simply attracting new audiences. Time simply isn't a commodity for anyone and rewarding your audience when they're spending this priceless asset could deliver dividends for your brand. Beacons' proximity targeting capabilities coupled with their ability to identify dormant-apps could help change the face of reward programmes. In retail, identifying customers who are in-store could fast-become a key metric for brands. Rewarding hi-value customers for visiting with complimentary coffee at the in-store cafe or time-sensitive rewards for returning non-purchasing shoppers are the types of real-time reward programmes that we could start to see taking shape. Rewarding your audience in the moment is a powerful tool for any brand, the world of behavioural economics shows us that people are more likely to take action when time is limited or when they risk loosing a reward or discount they value. Employee reward schemes can also benefit from this low-cost technology. Throwing down a challenge is always a great way to motivate the workforce and in cases where teams are stationed across large areas, beacons can be used to identify individuals and reward them for performance. Whether this is covering specific areas of a shop floor or moving goods from one end to another, beacons can be used in a positive way to reinforce the behaviours the organisation is championing. There is of course an underlying challenge here around privacy and rewarding the customer or employee for their loyalty. Organisations will need to achieve the balance between creating rewarding experiences for valued individuals and turning engagement into a game. Beura supplies beacons and SaaS based beacon management, tracking and mobile messaging tools. We are currently working with the Guildhall Galleries on an exciting beacon project and also a top 10 travel brand. Contact me on LinkedIn to learn more about Beura and our services. Social media has changed the face of how we engage with our customers and peers over recent years and now iBeacons are set to evolve this. At Beura we define customer engagement as a two-way dialogue between a brand and it's audience. We take a look at 3 ways in which iBeacons could change engagement. iBeacons deliver proximity targeting capabilities, giving brands the ability to target their audiences within a given range of Immediate - 2cm; Near - 2m; Far - 50m. They also have another key feature which is instrumental to engaging customers and this is a beacon's ability to push alerts/messages to a dormant app (with the necessary permissions of course). These are the features that will drive engagement at 3 levels: brand; product and service. In an environment where multiple brands co-exist, finding a voice can be a challenge. One example is the field of medical supplies, where multiple, brands and machinery co-exist within a building. Beacon-integrated-apps are one way of engaging a user base with relevant information. Suppliers can notify users of product updates and engage them on mini surveys. During a recent stay in hospital, I noted that nurses use apps on their personal smartphones to help them with routine checks such as pulse rates; providing key medical personal with a way of engaging with the equipment they use daily could prove invaluable to suppliers and users alike. Public environments such as airports also provide a forum for reinforcing brand especially for pure-play brands who want to have a real-world presence. e.g. Online Travel Agents can engage their audience upon arrival at their destination, a pre-check-in perhaps, to help provide a seamless welcome at their host hotel. The "FAR", 50 metre beacon range can engage audiences beyond a building, giving brands the ability to engage their customers within range and invite them in. October heralds Christmas planning season, shoppers start to explore products in-store and then browse online for alternatives and the best price. This has given rise to the recent consumer trend dubbed "showrooming" by the retail industry. With the ability to recognise customers upon entry in-store, beacons give retailers the opportunity to nurture their customers and engage with them during this important trading period. The key to successful engagement for retailers is data. Beacons simply transmit IDs, it is the servers in the background that analyse and action data. This determines the content of the messages beacons trigger and therefore the quality of engagement they can drive. Beacons can prompt customers to engage with retailers' apps and retailers can deliver recommendations through this medium based on customers' profiles. Encouraging them to add products to their Christmas Wish list and express sentiment through social media will capture valuable data. Analysing and actioning this data in real-time will help close the gap between offline browsing and online purchasing, getting retailers ever closer to the holy grail of omni-channel retailing. My last blog outlined how iBeacons can help evolve customer service and this goes hand in hand with engagement. Coming from an online background, I have noted that the emphasis on user experience is universal. Now, beacon-integrated-apps are set to help brands provide great user experiences in the real-world. From helping customers navigate to their gate at airports to highlighting baby changing facilities throughout the building. Service does not need to be a one-way street, engaging your audience on how their check-in went or rating how they were served at the food counter delivers a real-time, highly targeted and relevant rapport that speaks to the individual. The team at Beura are proud to announce that our beacons are powering Hotel.com's 8000 km European road trip across 28 locations from London to Georgia. 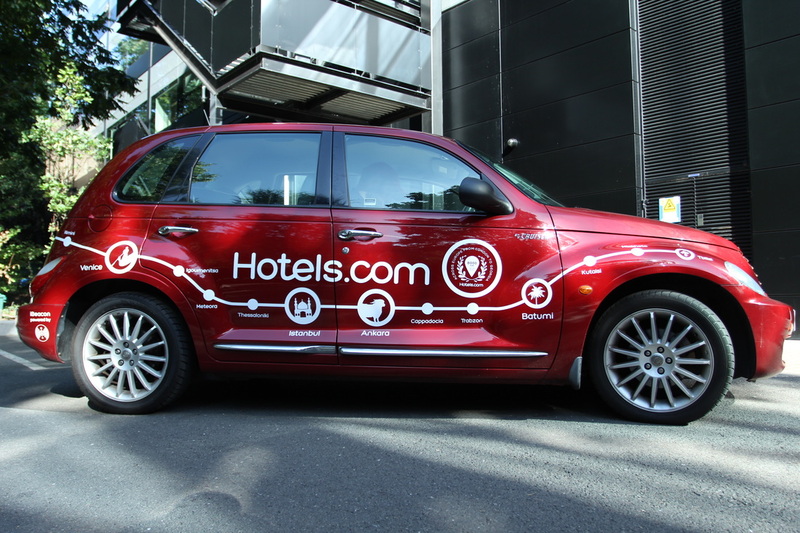 Meet the car that is currently in France exploring the region and the award winning Hotels.com properties. The beacons trigger proximity based messaging and offers through the Hotels.com app across iOS and Android devices. If you're traveling across Europe over the next ten days, look out for the Hotels.com car and be ready with your smartphone to catch an unbeatable Beura Beacon Powered offer!Beura supplies beacons and SaaS based beacon management, tracking and mobile messaging tools. We are currently working with the Guildhall Galleries on an exciting beacon project and Hotels.com. Contact me on LinkedIn to learn more about Beura and our services. For shoppers, stock filled shop floors with scarcely any staff to help is a common experience across retail stores. The proximity targeting capabilities with iBeacons, can help retailers deliver a rich customer service experience. For example clothing retailers will now be able to understand which collection shoppers are near and present them with a lookbook that will help them find complementary items in their size. For large stores in retail outlets such as Westfield where overheads are high, this type of service can help target, service and convert customers to buy. Many shoppers browse online and then visit stores to try items on, helping them navigate the store in much the same way as you would online will help retailers not only deliver a great customer experience but also sales. Click and collect is a great service but waiting in queues is never fun. Using iBeacons, retailers can deliver a much improved service. 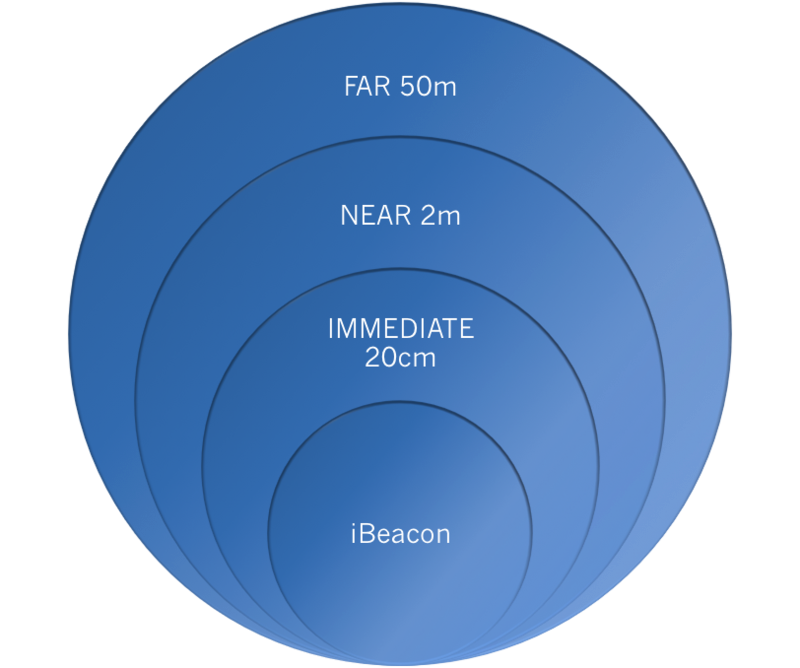 With multiple range settings, iBeacons can identify the presence of an app on your phone at 50m, 2m, and 20cm (approximate ranges) which means that you can be alerted to your "John Lewis" parcel ready for collection at your local Waitrose as you walk past. iBeacons can detect your entry into the store and back-end servers can identify you and any items ready for collection. Your app can notify you of when and which checkout your parcel will be ready to collect in store, alongside your shop for the day. The low-cost nature of beacon-centric tech means that such a service is not limited to brands with dedicated service budgets but also to local retailers, for example newsagents who participate in parcel collection networks. Product substitution is a fine art for supermarkets and retailers. Placing compact iBeacons in aisles or on shelves will give retailers the opportunity to either indicate when stock will be in or recommend substitute products. With the current focus on health and diet in the UK, product substitution can also encompass healthy substitutes, a personalised and valuable service for customers. iBeacons are improving app-based order placement and payment services. Instead of waiting for service in a restaurant, iBeacons can be used at tables to enable customers to order and pay for food using their tablet or phone without the need to rely on staff. Restaurants where fast service and customer turnover is key to success, like Wagamammas, can benefit from such seamless low-cost tech. The same can be said for other people intensive businesses like retail where proximity targeting can improve customer service and staff can be better utilised on delivering an excellent customer experience.